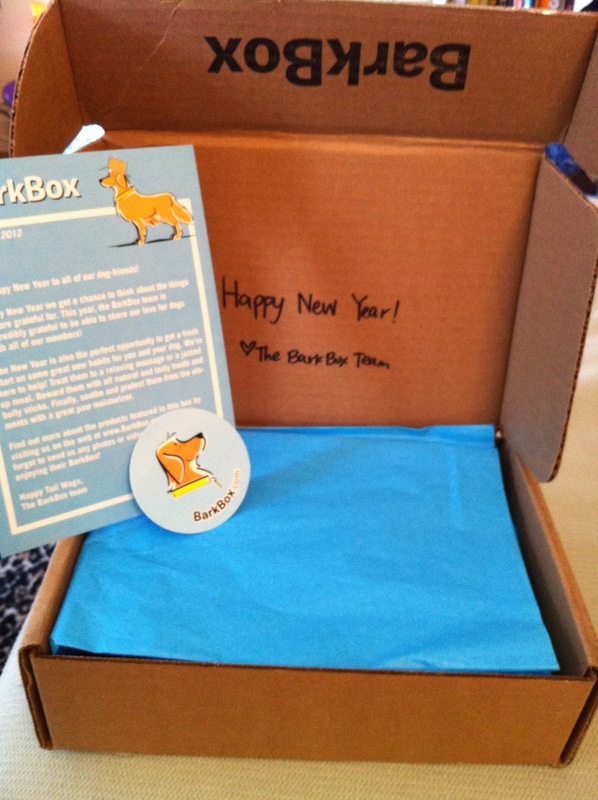 Barkzilla: A Savvy NYC Dog Blog: Our @GetBarkBox Delivery! January was an INSANE month. In addition to getting back into the swing of things after the holidays, there was LOTS of travel (9,000 miles baby! ), and honestly we kind of fell into a blogging slump. Not only did we not have the time to scour the web for fun finds, but we also were just not in the mood. Luckily for us, earlier this week the awesome folks at Barkbox delivered an ENTIRE box of doggy goodness to our door! And get this, they can also deliver one to your home as well! That's right, Barkbox is the doggy version of Birchbox, the beauty service that delivers deluxe samples to your door each month for a flat subscription fee. Each month you get a selection of hand-picked products to try out! Worried about getting products that aren't right for your dog? Have no fear-- you actually get to select the package that's the right size for them. Heal My Paws: A moisturizing balm that protects paws from extreme hot or cold. Happy Paws Dog Massager: This is AWESOME-- not only Paddy is already obsessed and it made her coat super soft and shiny, but the Barkbox people also INCLUDED THE BATTERY needed! 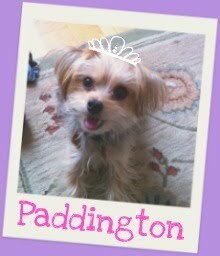 Puppy Dust: Is your pup a picky eater like Paddington? This all natural topping is designed to whet your pooch's appetite. Charlie Chews: Baked in our native NYC, these 100% organic treats contain no preservatives and all-natural ingredients. It's super easy to sign up, simply head over to Barkbox's website and select the subscription package that is right for you-- by far the best deal is $17/month for 6 months. We definitely recommend heading over to their Facebook page to check out pictures of what past Barkboxes have contained if you're not sold. Not only is Barkbox a great deal (hello, raise your hand if you've walked into Petco/Petsmart for one thing and walked out with $100 in random stuff), it's also really fun to get a box full of surprises each month and there's free shipping! We'll definitely be signing up! How do you get introduced to new products?